A Q&A with Bumble's VP of marketing Chelsea Cain Maclin. Bumble has contacted Facebook to explore a collaboration after the social media giant announced it is entering the online dating world. Earlier this month, Mark Zuckerberg revealed a service will roll out soon, after considering it for more than a decade. "There are 200 million people on Facebook that list themselves as single, so clearly there’s something to do here," he said at Facebook’s annual F8 conference. Bumble said it was "thrilled" to hear the news, and hopes it can join forces with Facebook to "make the connecting space even more safe and empowering." 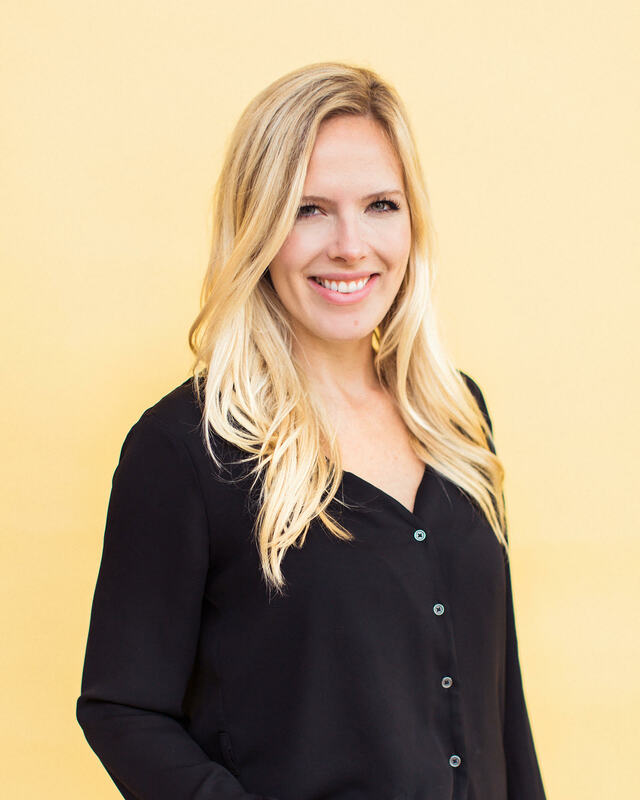 Campaign US caught up with Bumble’s vice president of marketing, Chelsea Cain Maclin. How has Bumble's marketing strategy transformed since its inception? When Bumble launched in 2014, dating apps were more stigmatized than they are today -- and people weren’t really sure if a dating app where only women could make the first move would work. Bumble actually launched with our first two hires jumping out of a plane to illustrate how it was scarier to free fall than to make the first move. We did a lot of marketing on college campuses, which is still an important marketing channel for us today. We’ve grown our college marketing team into a field marketing team that focuses on targeting college students, recent graduates, and event marketers in cities across the globe. Today, we use an omni-channel approach, integrating traditional and non-traditional strategies (for an app), like our Bumble Hive pop-ups. Our mission remains constant; 1) to facilitate empowering connections in love, life and work; 2) to improve our users lives both online and offline, and; 3) to promote accountability through kindness and respect. As a marketing team, we continually challenge each other to achieve this mission alongside our awareness, acquisition, and engagement goals. Our marketing strategy is multifaceted because we are mission and growth driven, and we’re always looking for opportunities to add value to our users’ lives, both on and offline. How is technology influencing the future of Bumble? There are so many interesting things happening in the tech space right now -- we are constantly evaluating trends and the latest product releases as we continue to optimize our platform for our users. 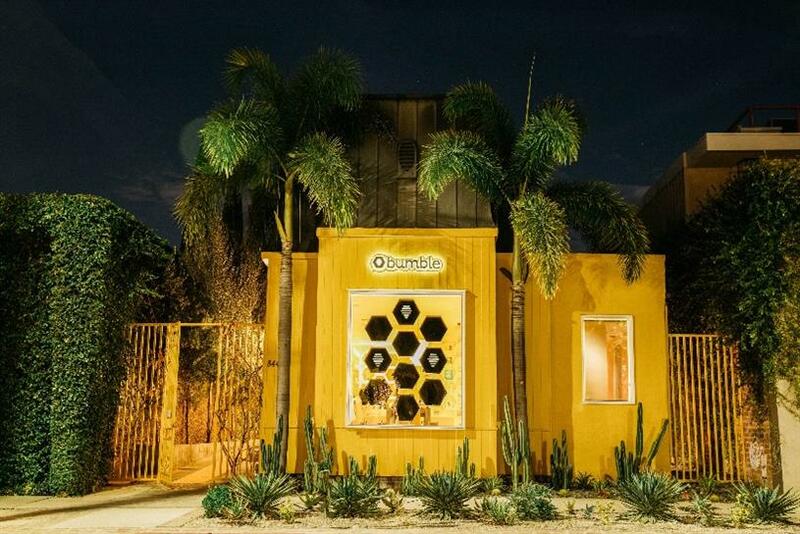 There will be a lot of advancements in the space in the coming years and I’m excited for Bumble to be part of that. Facebook announced it’s entering the world of online dating -- is this a threat to Bumble? A Bumble spokesperson said: "We were thrilled when we saw the news. Our executive team has already reached out to Facebook to explore ways to collaborate. Perhaps Bumble and Facebook can join forces to make the connecting space even more safe and empowering." Bumble is going to let users access the app without a Facebook login in the future. Will anything else change logistically? Yes, and that’s actually a feature that’s available for new users right now. Users can sign up for a new Bumble account with just their phone number, which bypasses Facebook and any other third-party. Nothing else changes -- we still offer photo verification that’s moderated by our machine-learning technology and user experience team, with or without logging in through Facebook. You recently partnered with the L.A. Clippers -- will we see more sport sponsorship deals from Bumble? Partnering with the Clippers was a unique opportunity -- it’s the first time a women-driven brand like Bumble has joined forces with a major professional sports team in the U.S. The Clippers executive leadership team boasts more women than any other NBA franchise, including the league’s only female president, Gillian Zucker. Bumble is obviously a female-centric brand and, our workforce reflects that -- our company is 85 percent women and our C-suite is almost all women. With the Clippers partnership, we launched Bumble’s "Badge of Empowerment" on the team’s jerseys, serving as a reminder of our shared values of diversity and equal opportunity. Our partnership includes an investment in Los Angeles-area youth, which helps the Clippers expand their community initiatives to strengthen the skills, confidence, and knowledge necessary for young women to achieve their full potential. We will continue to focus our marketing dollars on brands that have strong female representation in executive management and an emphasis on mentoring the next generation of rising stars. Where do you see the gender/equality conversation heading next, and how will Bumble slot into it? Bumble launched over three years ago, before #MeToo and #TimesUp, and we’re happy that this is a part of a larger cultural conversation now. I think "what comes next?" is the biggest question on everyone’s minds. We want to help educate society to understand, build, and expect safe, empowering relationships in both romantic relationships and in the workforce. This is core to our mission and values. Bumble will play an integral role in this continued conversation and continue to work toward a more kind, positive and empowering future for all. Bumble recently got some backlash for promoting Planned Parenthood through the app. What’s the company’s stance on being an advocate for social issues? We are a brand that’s rooted in kindness and empowerment, and we believe in taking a stand on issues that are important to us. We partnered with Planned Parenthood to talk about consent in April for Sexual Assault Awareness Month, because consent is such an important topic in dating. For our brand, it’s important and authentic to talk about these types of issues and we will continue to do so. What can we expect to see from Bumble in the years to come? 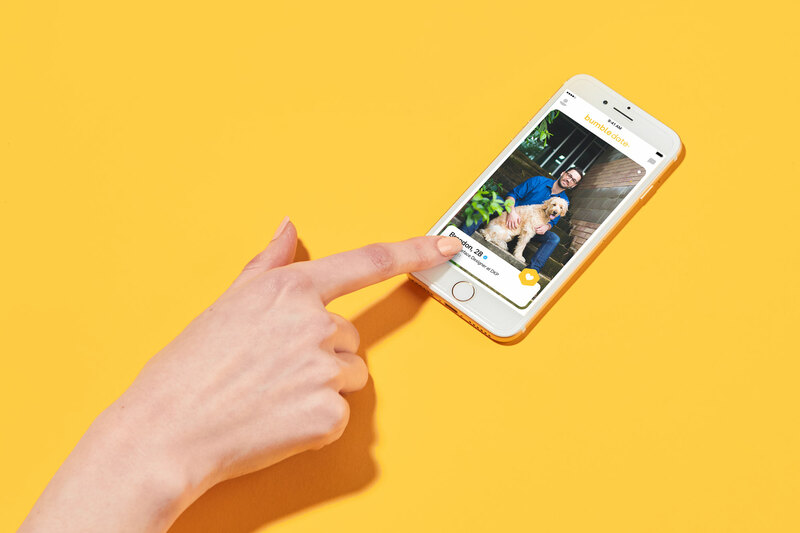 Bumble has transformed in the past year -- we are no longer just a dating app, we are a social networking app for the people you haven’t met yet, whether that’s in love, friendship or business. We’ve become the place to find and cultivate empowered, lasting connections in life. We’ve been so thrilled to hear success stories from all three areas of Bumble: Bumble Date, Bumble BFF + Bumble Bizz. We have so many exciting things on our product and marketing roadmap, but you’ll have to stay tuned to hear those details! And, for fun, what’s your number one piece of advice for online daters? Be your authentic self, be kind, be confident, and make the first move. Have you cracked the Deadpool Easter egg code?